This thread/post is intended to pull together scattered discussions from the forum on LCD Support on Linux, and put the current information of the state of affairs of LCD support on the pine64 with regards to the Linux operating systems in one place. It is a living post, so may be subject to change by myself or other moderators as needed to correct any inaccuracies over time. Any support requests will be moved to a different thread as that is NOT the focus of this thread. If you have any suggestions as to more information or related forum threads, please leave a reply! Out of the box, the pine64 has always supported both the HDMI and LCD outputs via the Android images - but not at the same time. More recently in that area, the need for two different images has been removed, and a simply change to the uEnv.txt file was needed. This was not the case with linux... until recently, there was no LCD support at all. It was certainly possible, as it had been done before with other boards using the Allwinner Display Engine, but was not enabled on the pine64 until recently. There are currently no "official" images that support the LCD and/or touchscreen out of the box. 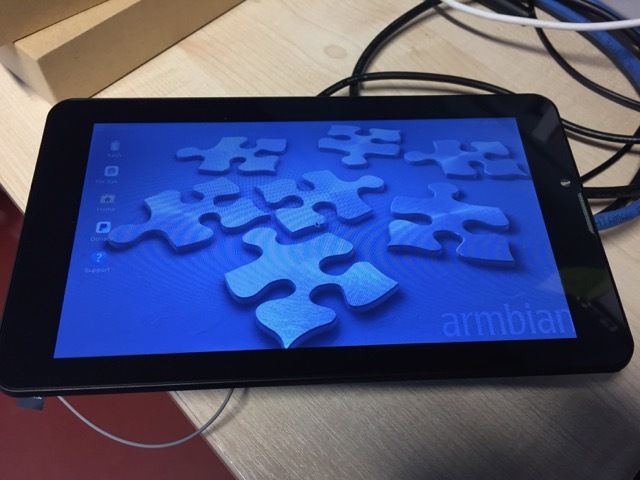 However, it was pointed out in Nov 2016 that support was present in the official Armbian repo, so there is in fact a ready to use image that is available for download or for you to build yourself. Check out the latest Armbian Beta image (I won't direct link as it is rebuilt daily, but you want the Pine64_Ubuntu_xenial build), and also look at the pine64 specific documentation on their site in order to try it out for yourself! change the pine64_lcd=off value to on. You will also need to add gt9xxf_ts to /ect/modules if you wish to enable the touch screen support. For more information please see (the last three points of) the pine64 specific Armbian documentation. I'm going to try Linux on my Pine64 with LCD+Touch, but I found out that " Armbian Beta image " link from your post isn't working anymore. Could you please orient me where can I obtain the right image for my experiments? Quote: LCD with touchscreen support can simply be activated in /boot/armbianEnv.txt by setting pine64_lcd=on and adding gt9xxf_ts to /etc/modules followed by a reboot.